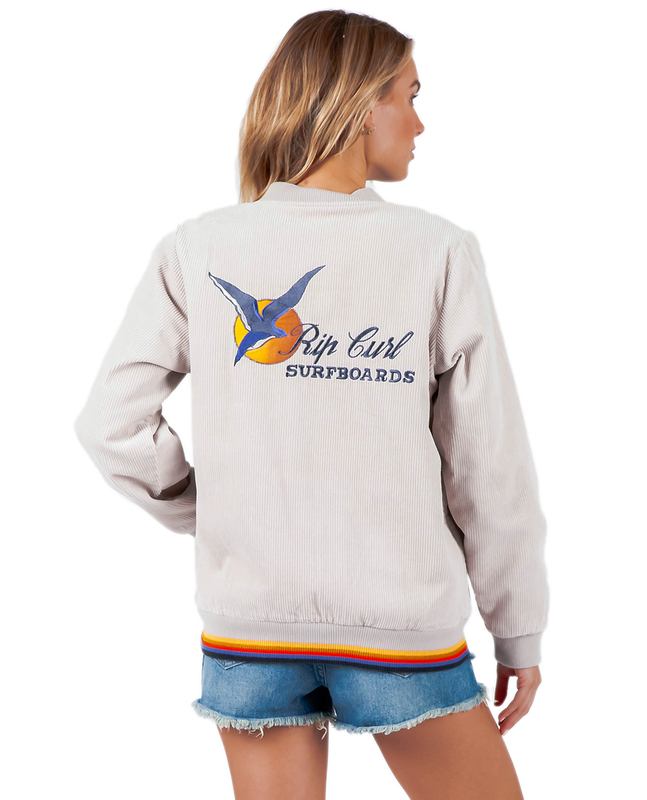 Vintageinspired, sherpalined jacket featuring 2way zip and chunky rainbow hem. Embroidery logo at front LH chest and large embroidery patch on the centre back featuring original 1969 artwork. 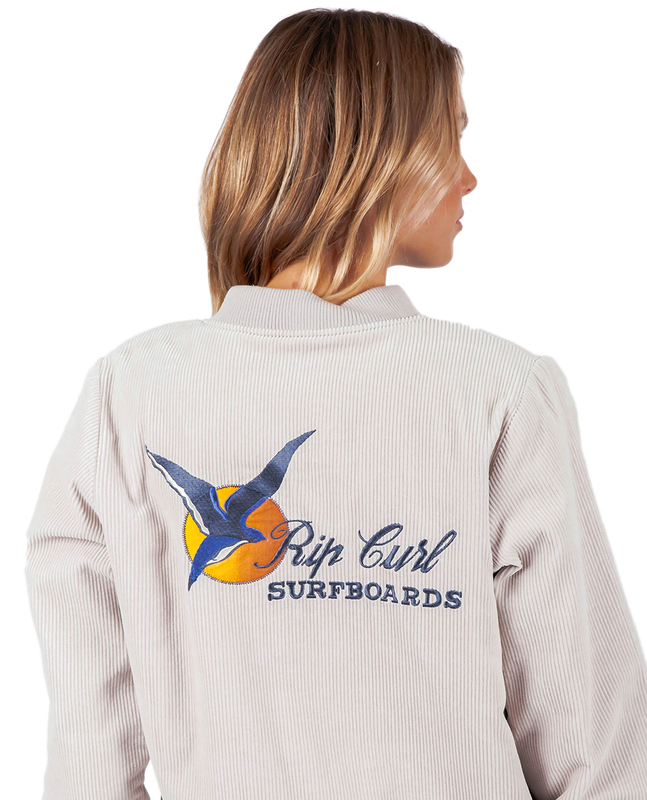 The ultimate surf revival jacket.